The multy talented Fuji mega star Alh Wasiu Alabi, popularly called Pasuma Wonder was yesterday at the palace of the Ooni of Ife on a historic homage to Co-chairman of the National Council of Traditional Rulers of Nigeria. The Fuji mega star declared that he decided to pay homage to the foremost African King as his father from whom he needed fatherly blessing to mark his 50th birthday and to identify with him in his relentlessly continued efforts to ensure unity and advancement of Yoruba race. 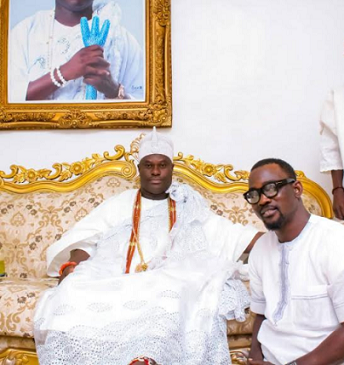 Pasuma who commended the foremost monarch also congratulated him on his birthday he did recently wishing him a peaceful and successful reign on the throne as the Arole Oodua. "Baba, you are great you have indeed made us proud as our overall father in Yorubaland. That is why I have come to identify with you in your mission of peace, unity and progress for our race and Africa". 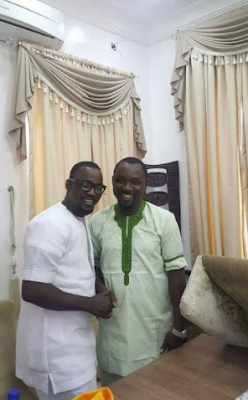 "Kabiyesi, please pray for me as your son as I will be marking my 50th birthday very soon".Alabi Pasuma said. 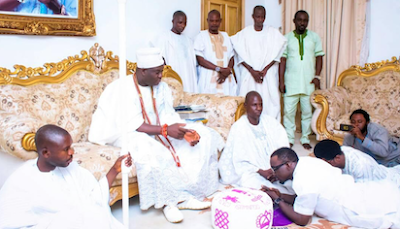 Ooni in his response also lauded Pasuma for using his music in promoting the culture and unity of the Yoruba race urging him him to always produce music that will further project the image of Yoruba nation which is source of mankind. The Spiritual leader of the Yoruba race worldwide added that he has been a great fan of Pasuma. He congratulated him on his 50th birthday and prayed God would bless the rest of his journey on earth with good health, long life and prosperity. "I'm your fan from time and I still remain your fan. May the Almighty Olodumare bless you with good health, long life and prosperity as you're now 50years of age. We will surely celebrate you". Ooni Ogunwusi added.